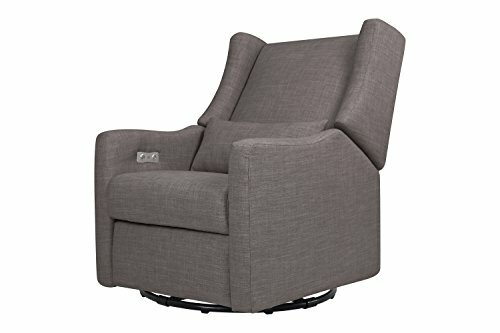 The wingback-style Kiwi Glider Recliner takes the phrase "rest and recharge" to a whole new level with its built-in USB port, smooth swivel motion and effortless back and forth gliding. Lean back and kick up your feet at the touch of a button - this recliner's quiet electronic control panel is cleverly hidden in the armrest to maintain its sleek form. Recharge your body, mind and electronics in ultimate comfort and modern style. If you have any questions about this product by babyletto, contact us by completing and submitting the form below. If you are looking for a specif part number, please include it with your message.